Keep track of scoring when umpiring netball games with these Scorecards. This pack of 90 scorecards come with four quarters on one side and a specific box for the date and time of the match. These cards can fit perfectly into a score card holder if one is needed. 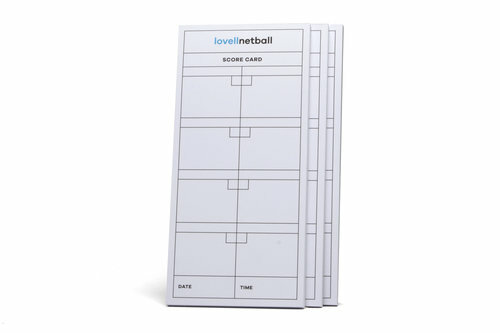 With lots of space to write these cards are perfect for umpiring during tournaments or in league competitions.